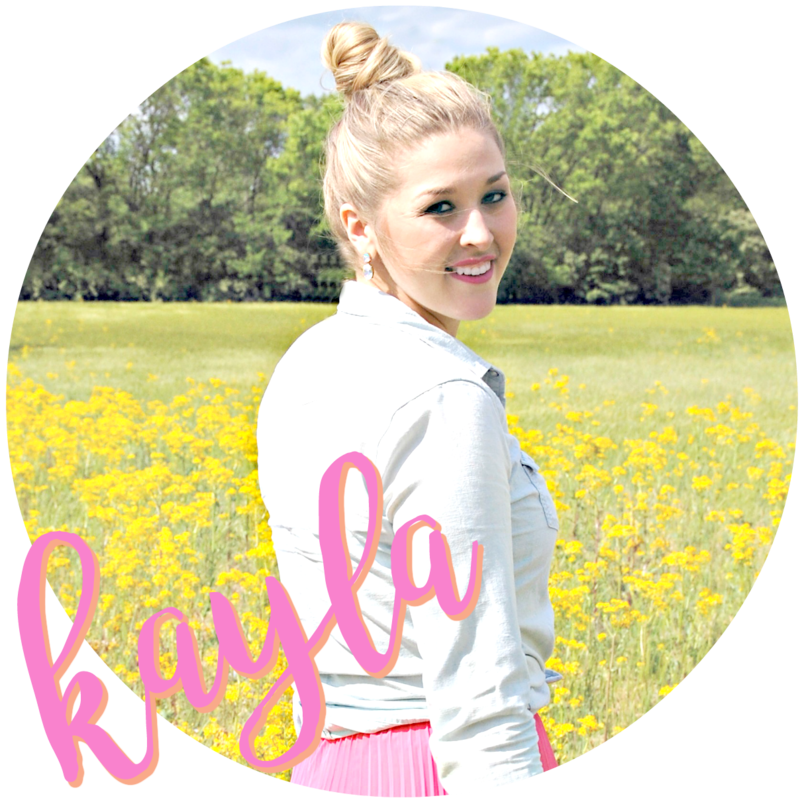 I love wreaths that I can keep up for long periods of time. 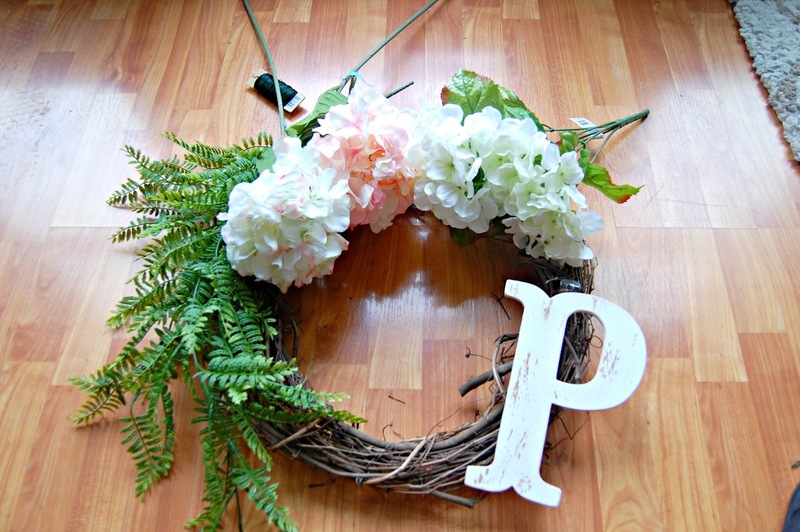 This Do-It-Yourself wreath is perfect for spring and will carry you all the way through summer. 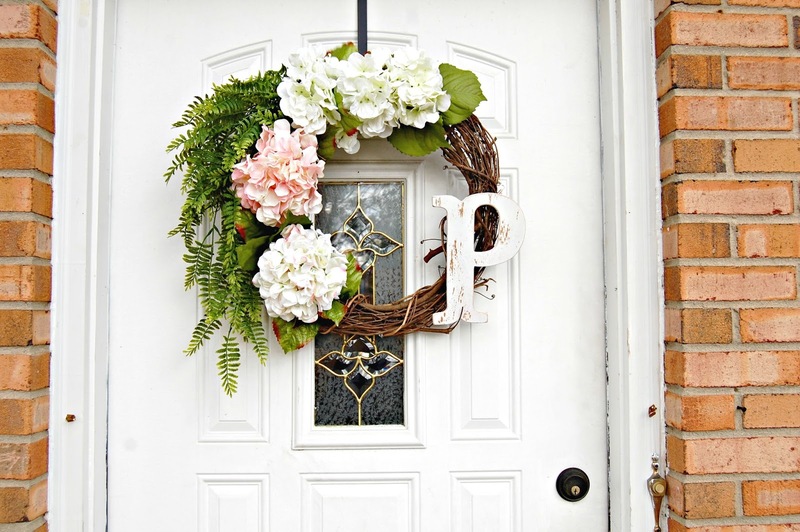 I'm really big in the rustic glam / shabby chic look and this wreath matches the rest of my home decor perfect. I visited my local Michael's and got everything I needed. I chose this long cascading stem, two big hydrangeas and then a smaller hydrangea boutique with multiple blooms on one stem. I also got the twine wreath and this distressed initial for my last name. What flowers/accessories you use is totally up to you. The important pieces you need is the wire and wire cutters. 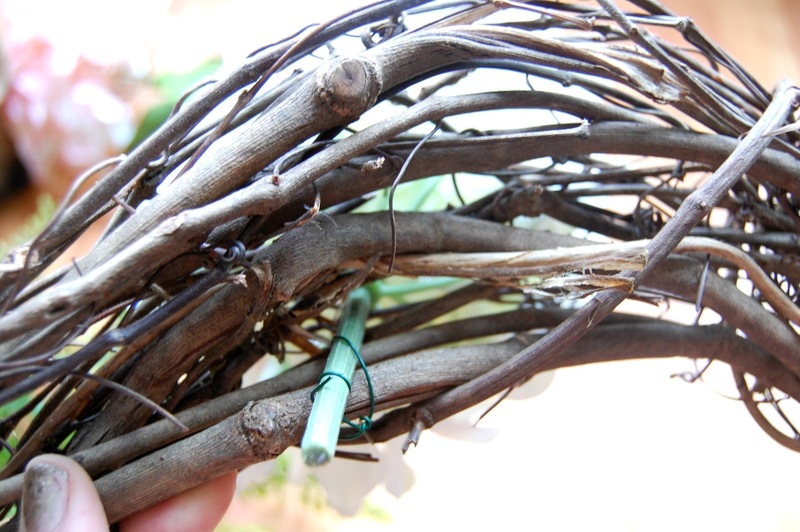 If you use thinner wire, scissors work just as well. 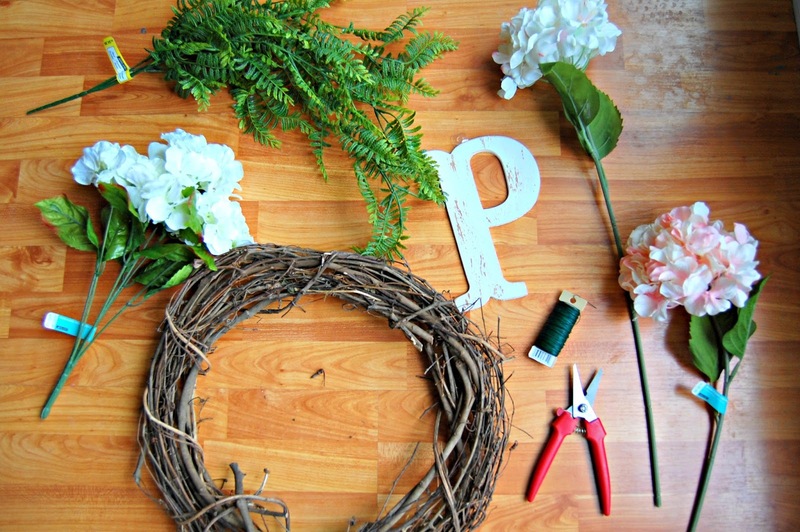 This wreath is so easy! I started by laying everything out how I thought I wanted it. Next I cut the first stem so that it ended at the back of the wreath and began wrapping the wire around to secure it to the wreath. There is no real science here, I just wrapped until the stem didn't move. Then I continued this with remaining flowers and P at the bottom. After those, I began adding leaves back in the holes from the original stem.